This one is one of my favorite easy meals, which we have been having a lot of due to the new baby! 1. Melt cream cheese and mix with chicken. 2. Dice celery and onion and add to the mixture. 4. 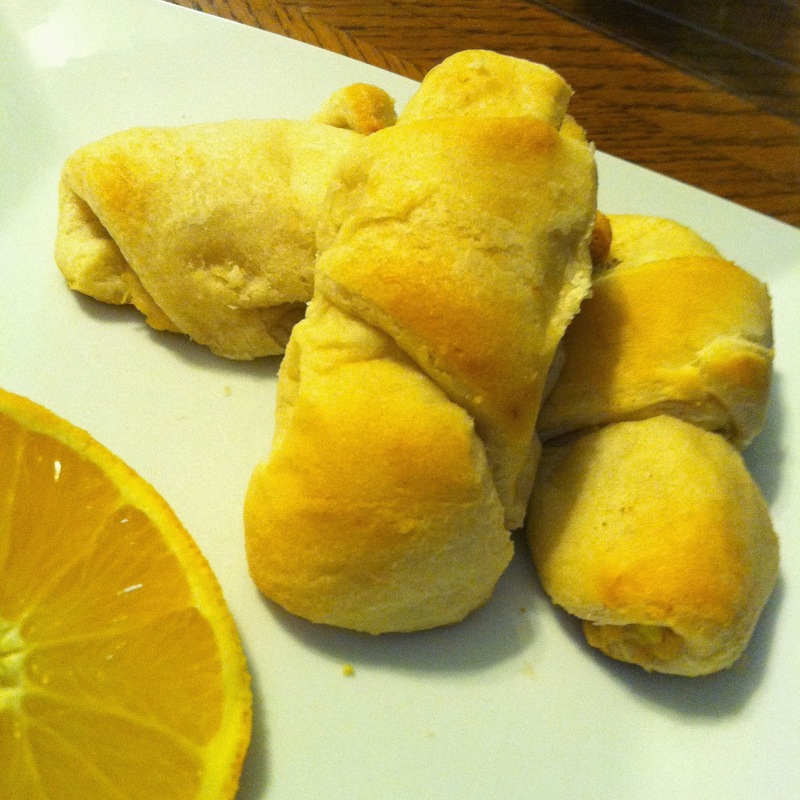 Spoon a little onto each crescent roll and roll up. Place on pan. 5. Cook in oven according to directions on crescent package. This looks like a recipe my mom used to make. Thanks for reminding me, I gotta make these! It would be our priveledge to have you come link with us at our weekly Super Saturday Link Party at http://www.madefrompinterest.net.